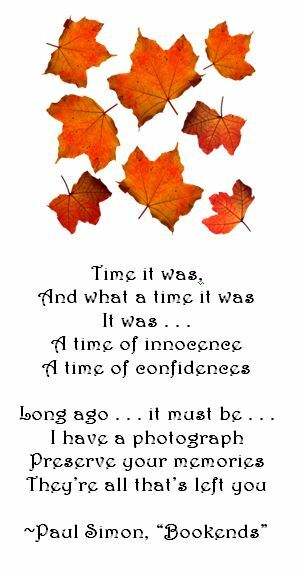 This post was contributed by Sue Woodruff Noland. Her previous post on the topic of the Woodruff family can be found here. Those of you who are familiar with Michigan and the Great Lakes, which is where I live, know how variable the weather can be; mid-May average temperature is mid-60s. On May 14, 2016, the day of the Grave Marker Dedication Ceremony for Benjamin Woodruff, son Andrew and I, both descendants of Benjamin, encountered temperatures in the low 40s and brisk breezes that carried sleety-snowy-rain as we gathered at Forest Hill Cemetery in Ann Arbor, Michigan! As was common in 1837, when Benjamin died, he was buried the following day and therefore was not accorded a military funeral. The DAR and SAR strive to provide a service for our forgotten patriots; on this day another Revolutionary War soldier, Josiah Cutler, was honored with our ancestor, Benjamin. The ceremony began with a welcome from Phil Jackson, Huron Valley Chapter of the Sons of the American Revolution (SAR). Following Phil’s remarks, we watched the posting of colors and standards with bearers dressed in Revolutionary War period uniforms. Thomas Pleuss, Chaplain of the Huron Valley Chapter SAR, gave the invocation, and then Kate Kirkpatrick, from the local Daughters of the American Revolution (DAR) chapter made some remarks, followed by remarks from a representative from each patriot’s family. Thomas Woodruff and Frank Ticknor (Josiah’s family) each presented a brief history of our respective ancestor. This portion of the ceremony was conducted about mid-way between the two patriot’s graves. After family remarks, the ceremony was conducted separately at each grave site. Benjamin’s grave site is a family memorial with several of his family interred there. Tom and his son, Michael, generously purchased a marker for Benjamin indicating his service as a Revolutionary War patriot. (The US government ‘declined’ to provide a marker.) Our grateful thanks to Tom and Michael’s families for researching Revolutionary War markers and commissioning the marker to be made. The marker was unveiled before our nation’s tribute, the folding of the flag. Since there was no flag pole, the ceremony actually involved unfolding a flag brought by the SAR/DAR for the occasion, and then refolding it as a story was told about the meaning of the folds, the last fold being a representation of a mother tucking in her child for the night—a story made up sometime in the past, but a touching story nonetheless. 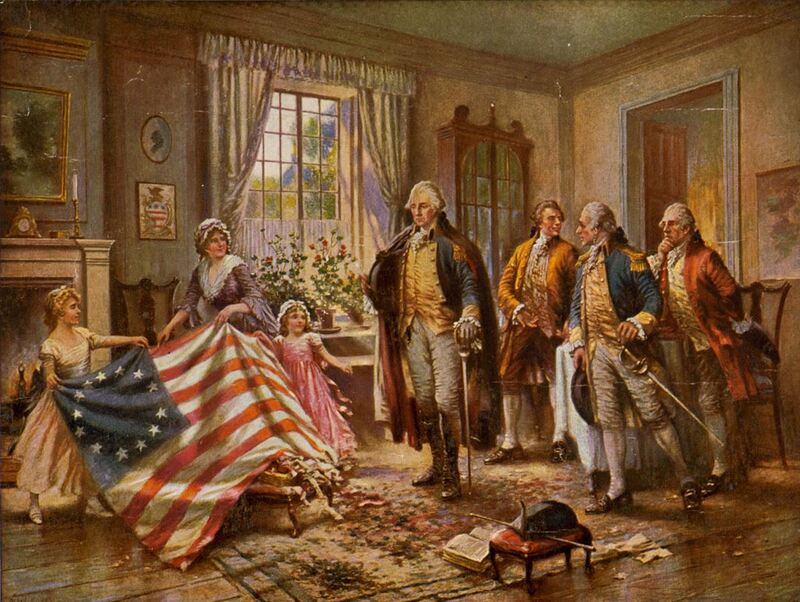 Once folded, the flag was presented to Tom. We were then cautioned that the next part of the ceremony would be the military tribute, a 21-gun (and 2 muskets) salute—startlingly loud! The veterans Honor Guard of Washtenaw County (Michigan), the Indiana Society Color Guard, and the Ohio Society Color Guard performed the tribute of three volleys. The 21 spent shells were given to Tom, who offered one to each of the family as a memento of the day. The Sword Salute was by far the most touching part of the ceremony for me. Three of the Color Guard detached from the group. 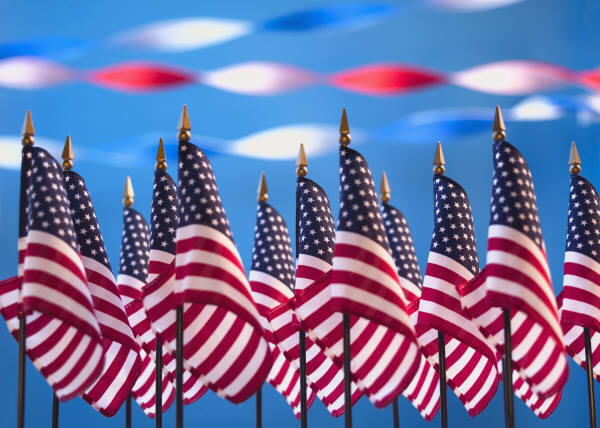 The leader explained that, on command, the three of them would tip their tri-corn hats to honor our patriot and then bow, touching the ground with their swords, to show humility for Benjamin’s service to us and our country. To conclude the ceremony there was a sounding of taps by two buglers. Both families (Woodruff and Cutler) came together once again after Josiah’s ceremony, for floral tributes from several SAR, DAR, and CAR groups (Children of the American Revolution). 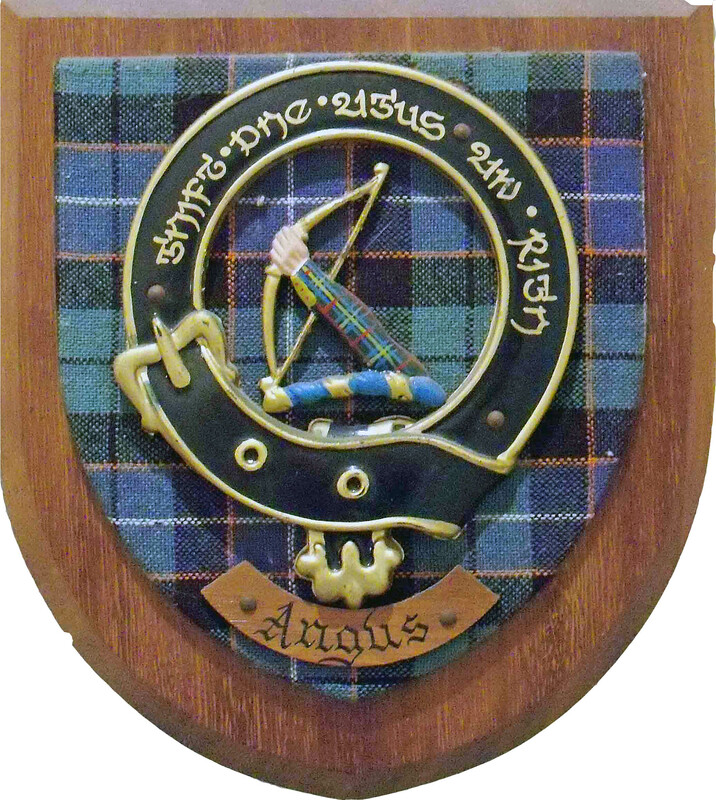 These organizations developed at various times with the objective of keeping alive their ancestors’ stories of patriotism and courage “in the belief that it is a universal one of man’s struggle against tyranny….” [from SAR website] The conclusion of the entire ceremony was a bagpipe tribute to both soldiers, by Herm Steinman. Chilled to the bone, but eager to meet cousins we didn’t even know existed a few short weeks before, we gathered with Benjamin’s other descendants at Conor O’Neill’s Irish Pub in Ann Arbor, as guests of Tom and his wife, Jane, and Mike and his wife and tiny daughter. We met ‘new’ cousins, including Tom and Mike’s families, as well as Pam Olander from the Chicago area and reacquainted ourselves with cousins who had attended one of the Woodruff family reunions we organized during the mid-2000s. The room was quite abuzz with everyone sharing history and asking questions. 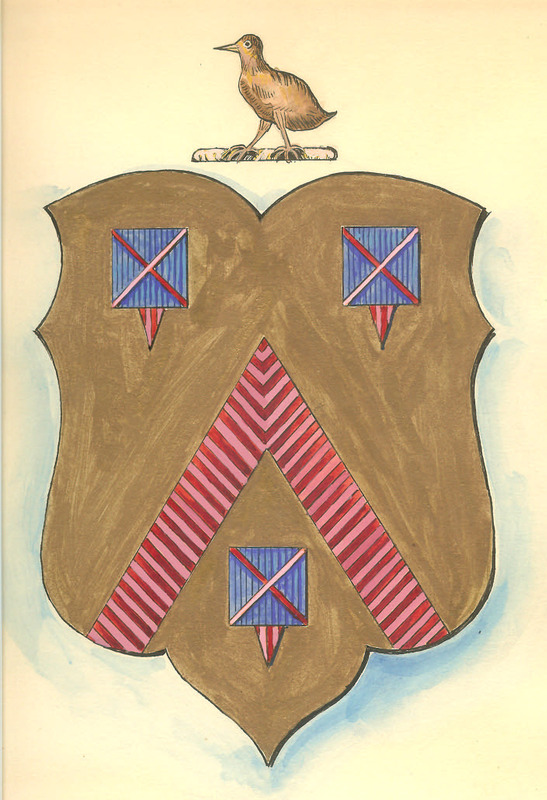 Tom told us the motto on our Woodruff Coat of Arms, “Sit Dux Sapientia,” translates as “Let wisdom be your guide;” we had not known the motto, only the shield design. The day before the ceremony, Andrew and I had met Pam at the Bentley Historical Library on the U of M campus in Ann Arbor. We spent over two hours poring through Woodruff documents stored at the Library and were finally able to answer a question: Why would John Woodruff leave England in 1640? The answer: he seems to have decided that King Charles I was taking too much of the family income via taxes. Later, it seems our Benjamin, living in the colonies, may not quite have agreed with King George III’s Stamp Act of 1765 (and a few others: sugar tax, currency, etc. 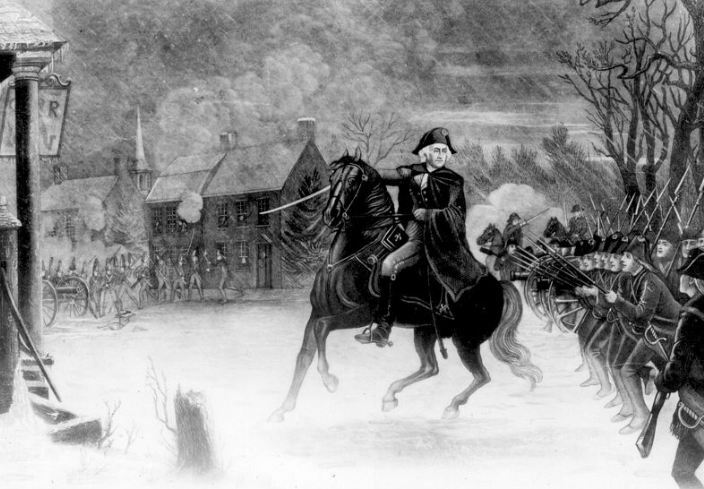 ), thus leading to his participation in the Revolutionary War a few years later. If any of you should travel to Michigan in the future, for research at the Library or simply to visit Benjamin’s final resting place (he was moved to Forest Hill from another site), we would love to meet any ‘new’ cousins. *James Woodruff (b. 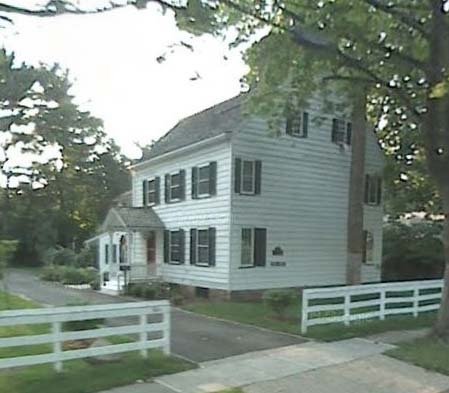 1722, Elizabethtown, NJ) was the son of Benjamin Woodruff (1684-1726) and Susanna (1686-1727), both of whom were born and died in Elizabethtown, NJ. While, the men who served in the Revolutionary War are remembered with profound gratitude for their heroic sacrifices, it’s easy to forget that behind them stood an army of highly productive and devoted women: wives, sisters, grandmothers and daughters—women who strove to support the War efforts of their beloved, while keeping the home fires burning. How comforted the men must have been by this knowledge. One such woman was Elizabeth Depui Brodhead, wife of the famous Colonel Daniel Brodhead and sister-in-law to my fifth great-grandfather Garret. A wonderful bit of biographical detail about Elizabeth can be found on pages 22-23 of Some Pennsylvania Women during the War of the Revolution, by William Henry Engle, MD (Harrisburg, PA: Harrisburg Publishing Co., 1898), and I am including it below. While much has been written about the Colonel, this is the first information I’ve found that sheds a tiny bit of light on Elizabeth. If you are aware of other examples, please share in the comment box below. 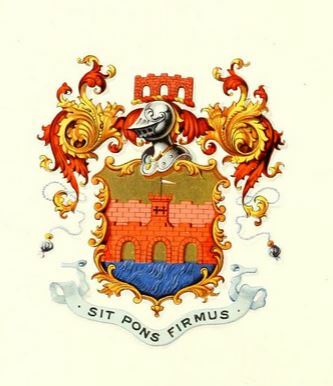 Elizabeth Depui, youngest daughter of Nicholas Depui, was born in 1740* in what is now Monroe county Pa. She was a descendant from Nicholas Depui, a Huguenot who fled from France to Holland in the year 1685 at the time of the revocation of the Edict of Nantes. Little is known of her early childhood. 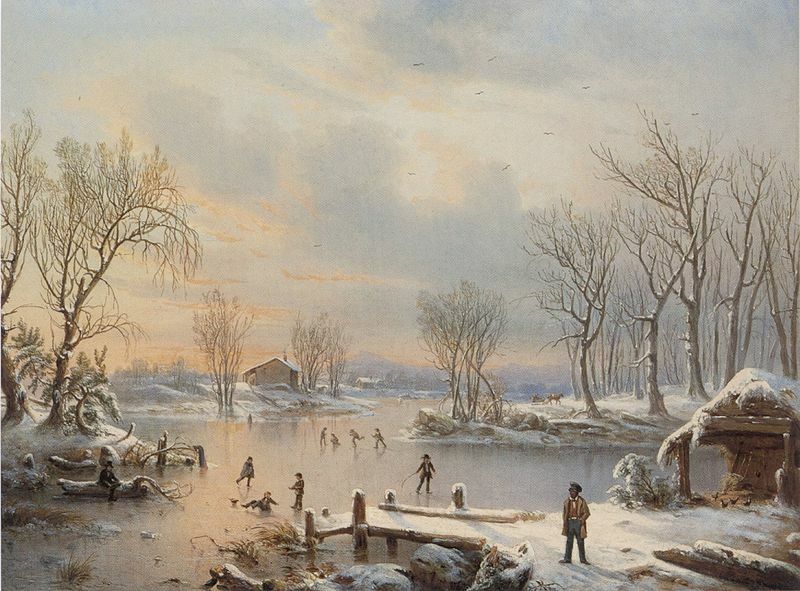 She received a pretty fair education at one of the Dutch schools in New York, but the major portion of her youthful days were spent on the frontiers of civilization, the wily savage ever hovering around the settlements of the Minisink. On more than one occasion she was obliged to flee to either the blockhouses or the more populous settlements for safety. Shortly after her marriage she accompanied her husband to the town of Reading where she made her home until after the promulgation of peace. During that trying period the care of a young family was hers, and yet among that coterie of bright and heroic women of the Revolution who were in exile in Reading she shone with lustre. Nothing was too great for her to undertake and her patriotic ardor was always aroused for the welfare of the soldier of the Declaration. She administered to the comfort of the sick and wounded who found their way after convalescence to their several homes upon the frontiers. In those days, the women kept many in clothing as well as the necessaries of life. 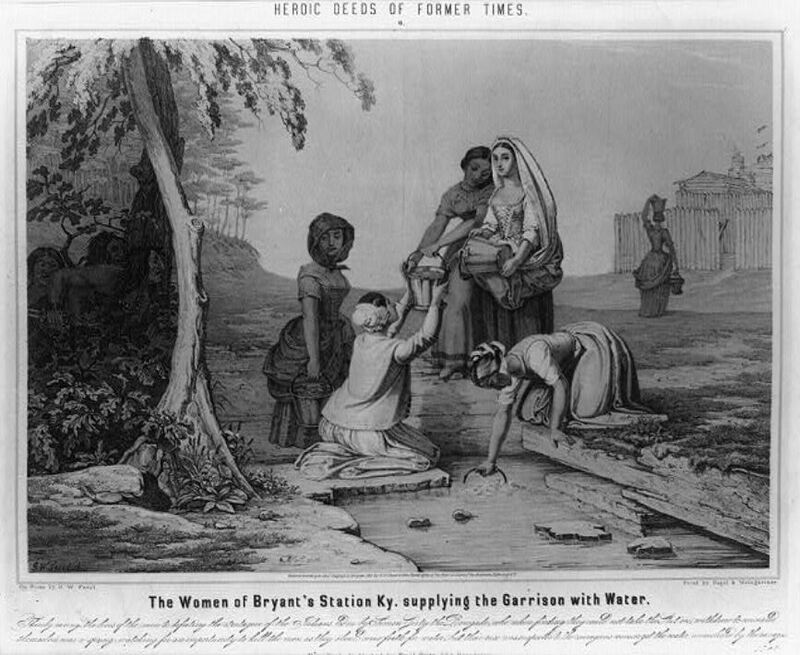 Help was needed everywhere, and as we of the present day minister to our troops from our abundance, the women of the Revolution did the same out of their poverty. It is true they accomplished much more than we at this distance of time can either appreciate or calculate. Theirs was a day of self denial. 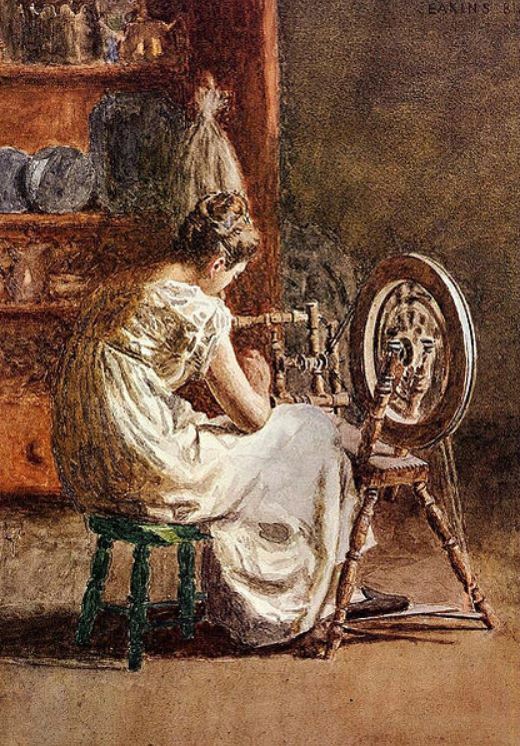 They delighted in homespun dresses while luxuries were prepared only for the sick and loving who were battling for the rights of mankind and the independence of their country. And yet we must honor the women of all crises in the history of our beloved land who lead in every philanthropic work to alleviate distress. Their forbears during the struggle for independence were animated by that enlarged patriotic spirit which will enshrine their names to the latest posterity. It was so eminently characteristic of them that a British officer, a prisoner of war, remarked that no soldiers whose mothers, wives, and daughters were so devoted to the cause and so self sacrificing could ever be conquered. Mrs. Brodhead died in the city of Philadelphia toward the close of the year 1799*, but exact date with place of burial have not been ascertained. I’d love to find more such biographical detail on other women relevant to the families covered within this blog. If anyone has other examples to share, please get in touch/leave a comment. Meanwhile, you can check the list below to see whether any of your female Pennsylvania ancestors were also featured in this book. NB: Depui is spelled in many different ways (visit Depuy Surname History for a rundown). 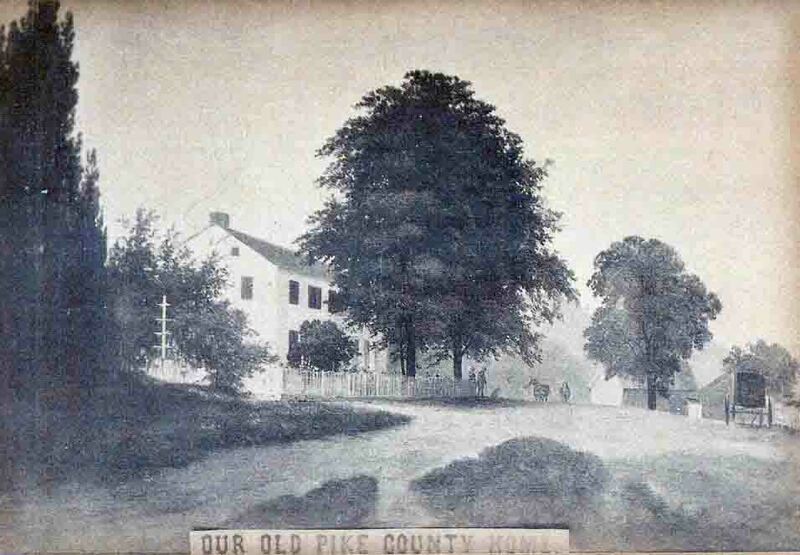 This striking black and white image of Mary Brodhead Pike comes from Daughters of the American Revolution Magazine, Volume 52 (Jan. 1918), p. 678. Mary, daughter of Reverend John Brodhead and Mary Dodge, died on May 17, 1922, at the age of 106, and was buried in Locust Grove Cemetery, Newfields, Rockingham Co., New Hampshire. The photo was ...taken the day after her 101st birthday, and is a very good likeness, but it does not express the charm of this intellectual gentlewoman. For 101, she looks remarkable! The article mentions a DAR meeting taking place at Mary’s house in July of Mary’s 103rd year. What an honor it would have been to be a guest in her home. Mrs. Pike at the age of 106 years is active in mind, keen and witty in conversation and gracious in manner. A few years ago this Magazine published a likeness of Mrs. Pike which holds good. She seems not to have changed mentally or physically except that a recent fall has confined her to her room. Her health is good, she is cheerful and strong in her faith in God, and in her love for humanity. Granite Chapter would like to know if any other Chapter can claim so old a Daughter. I, for one, would have loved to have been among those who got to sit down with Mary in her later years to hear her discuss her life experiences. As a member of the DAR, she would have been someone extremely interested in family history and the history of our great country. Luke* was wholeheartedly devoted to the cause of independence and was a devoted friend to General Lafayette. Wounds received in battle and in prison eventually forced him to retire from active duty after spending the winter in Valley Forge. Luke’s son Rev. 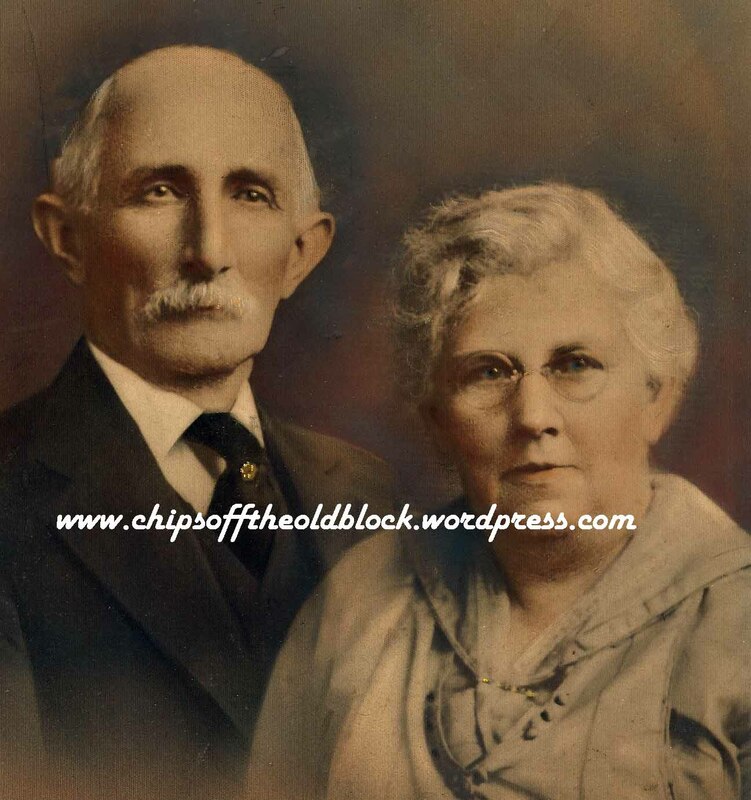 John Brodhead**, an ordained Methodist minister, and Mary Dodge, were Mary Rebecca Brodhead Pike’s parents. In 1809, the parents ultimately settled in Newfields, New Hampshire, and that is where Mary was born. Rev. 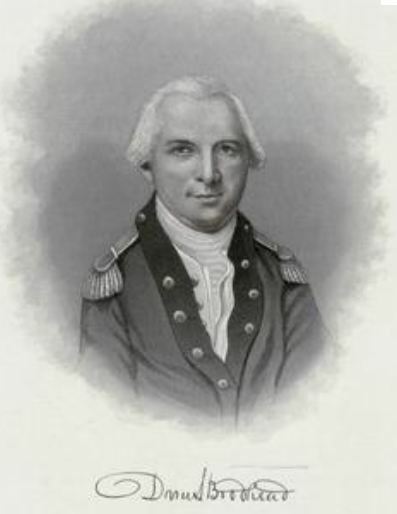 John Brodhead served in the NH State Senate from 1817-1827, and was a member of Congress from 1829-1833. John and Mary Dodge Brodhead had twelve children: Daniel Dodge Brodhead, John Montgomery Brodhead, Elizabeth Harrison Brodhead, Ann Mudge Brodhead, Joseph Crawford Brodhead, Mehitabel Smith Brodhead, George Hamilton Brodhead, Mary Rebecca Brodhead, Olive Brodhead, Brevet Brigadier General Thornton Fleming Brodhead, Col. Josiah Adams Brodhead, and Almena Cutter Brodhead. The Reverend was not the only parent who led a remarkable life. His wife Mary Dodge Brodhead’s September 5, 1875’s obituary in the New York Times stated that she conversed and shook hands with every President of the United States, from George Washington on down. With the martyr President Lincoln, she was on terms of great familiarity. Of their children, Brig. 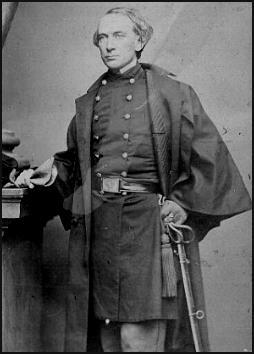 Gen. Thornton Fleming Brodhead is particularly well known, for his service in the Civil War. He was mortally wounded at Bull Run after heroically leading his men into battle. George Hamilton Brodhead was once president of the NYSE. John Montgomery Brodhead served as second controller of the US Treasury, Joseph Crawford Brodhead was a Deputy Naval Officer, and Josiah Adams Brodhead was Paymaster in the US Army. 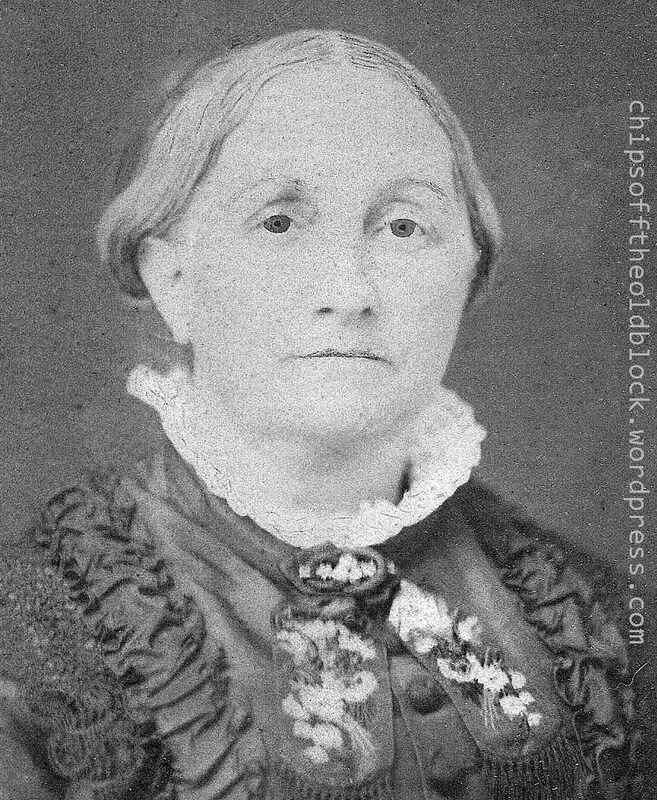 Mary Rebecca Brodhead (subject of this post) married Rev. James Pike***, who similarly to Mary’s father started out as a Methodist clergyman but later entered politics. 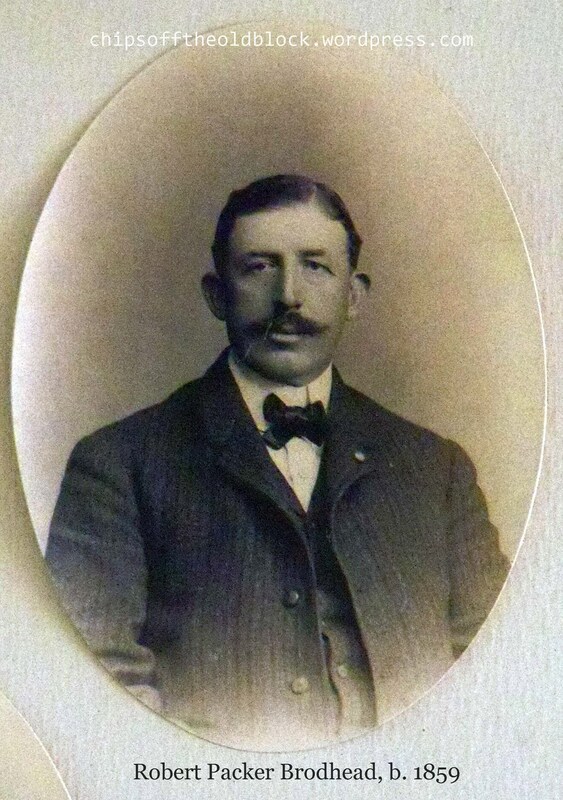 James also served in the Civil War as a Colonel in New Hampshire’s 16th Infantry. 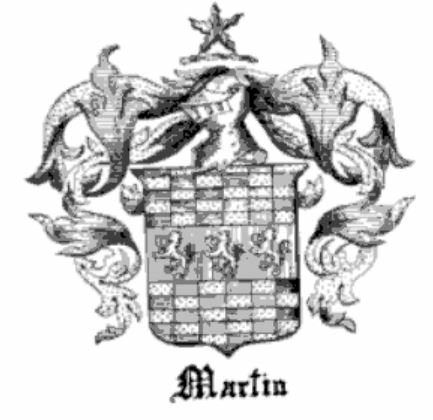 Mary and James had three children: James Thornton Pike (1841-1911), Anna Gertrude Pike Kendall (1844-1926), and Mary Brodhead Pike (1855-1855). 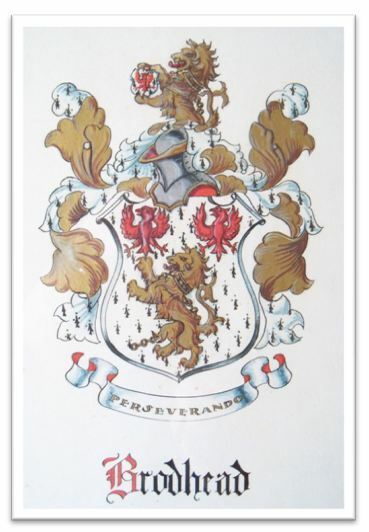 In closing, I’ll just say that there is a wealth of information available about this family line both online and in the Brodhead Family History volumes; I can’t really do justice to it here, and since it’s not my direct line, I don’t know how soon I will likely be returning to it. For anyone interested, the Brodhead Family History volumes may be available at your local library, particularly if you live in the Northeast, or through interlibrary loan. You can also purchase individual volumes from The DePuy / Brodhead Family Association (find them on Facebook). Have a great day, all! As, always, comments, corrections, and additions welcome. **Source for Rev. John Brodhead & family: Vol. II of The Brodhead Family, published by the Brodhead Family Assn, 1986, pp. 143-153. ***Source for Rev. James Pike & family: Vol. IV of The Brodhead Family, published by the Brodhead Family Assn, 1986, pp. 311. The city of Elizabeth, New Jersey’s birthplace and a crossroads of the American Revolution, celebrates its 350th anniversary this year. 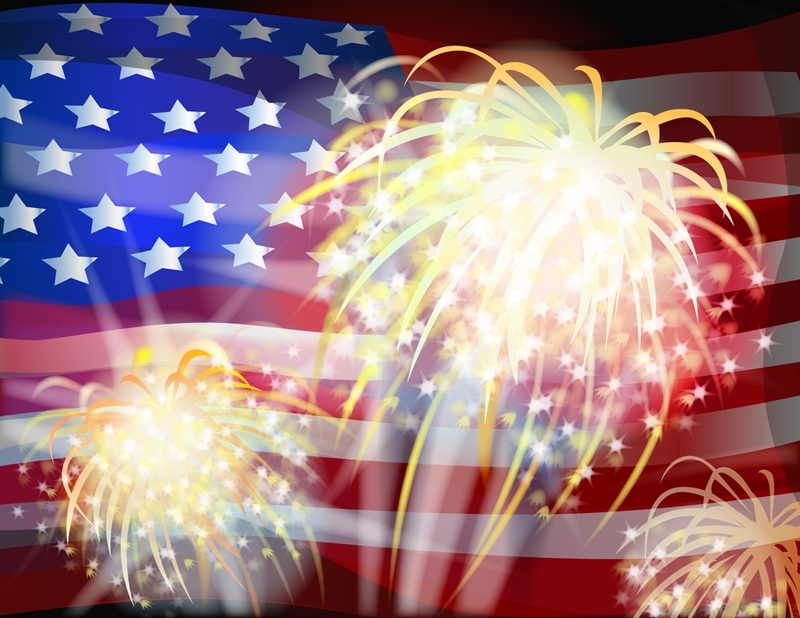 The GoElizabethNJ website is dedicated to the city’s 2014 celebrations which appear to culminate in an historical reenactment in October. They hope to attract to their celebrations many of those whose roots hail back to that era of New Jersey’s history. There are millions of us out here, and you may be one of them! 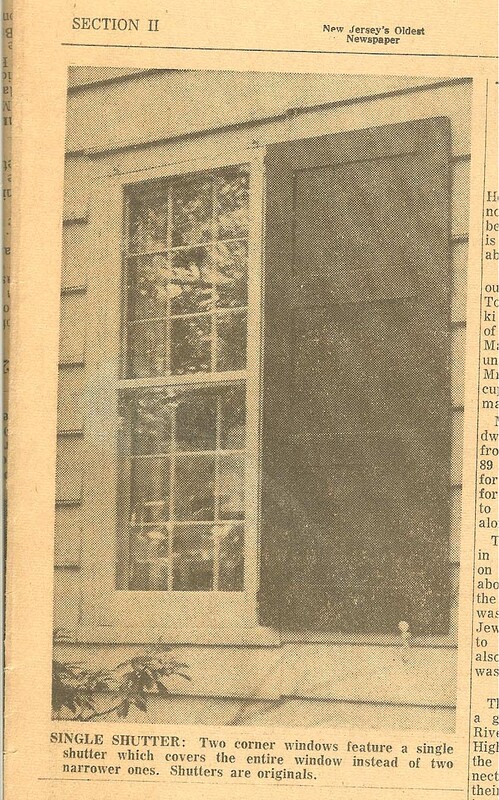 The Timothy Woodruff house article was published in the Elizabeth Daily Journal on 21 November 1964. In the event you are a Woodruff descendant, I am including it here. Published almost 50 years ago during Elizabeth’s 300th anniversary year, the article is probably hard to dig up online. So I will save you a trip to the Elizabeth library :-), where it is no doubt available in their archives. 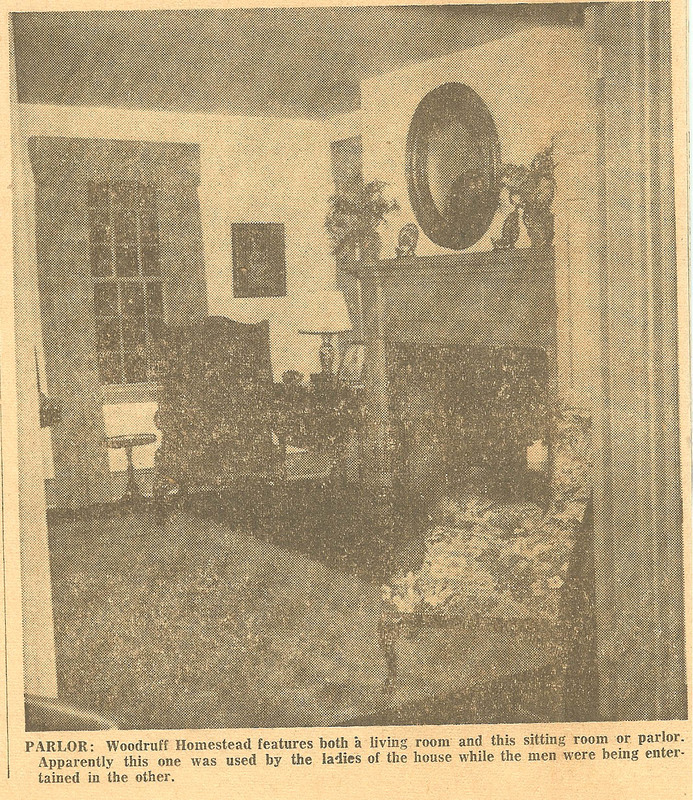 At the time the article was written, the house had been out of the Woodruff family for four years. Its last owner, my 2nd great grandfather Francis Woodruff’s niece Carrie Woodruff (89 yrs old in 1964, daughter of Ogden Woodruff and Phebe Bonnell, and a sister of Rev. Frank Stiles Woodruff) had moved out and gone to to live in a rest home in nearby Cranford. It goes without saying that there is much to glean from an article like this. 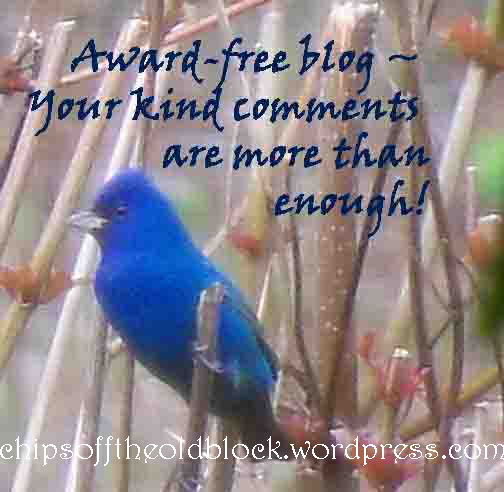 I hope you will find it of interest, and if you have anything to add or share, please do. (For some links to online material pertaining to the Woodruffs, visit my Links page and scroll down to the bottom.) Enjoy, and have a great weekend! 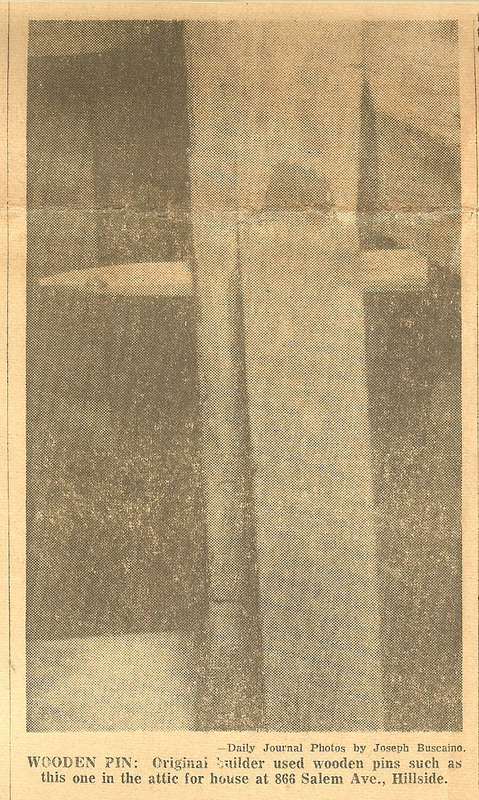 The Daily Journal, Elizabeth, NJ, 21 November 1964, p. 1. 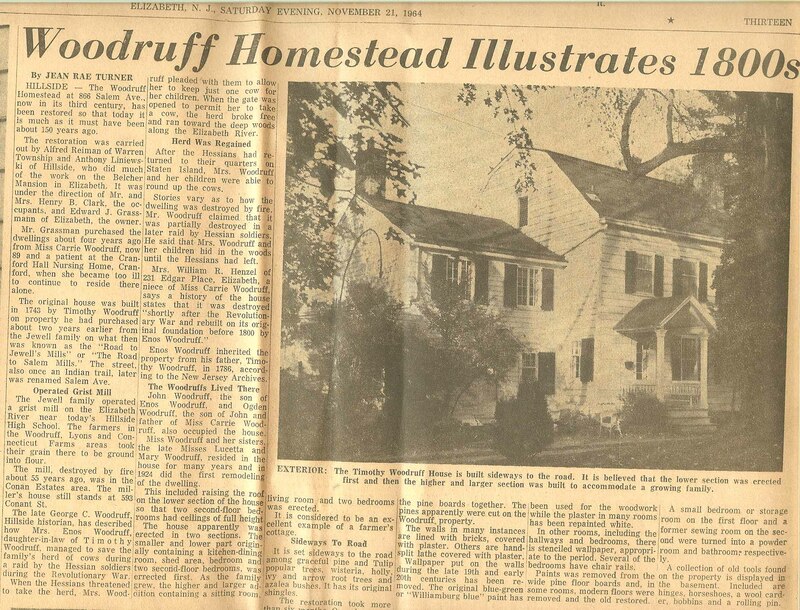 I was a bit premature to publish the last post because today I came upon a wonderful image of the Brodhead homestead tucked away in a box of old pictures. I’ve used Photoshop to remove the yellowing. The image must date back to the early 1900s/late 1800s when Robert Packer Brodhead owned it. Apparently, he added the third floor. So here is how the home and immediate surrounding would have looked all those years ago when the property was a very productive and busy farm. The stage coach would have passed right out front, beyond the white picket fence. Update, 8/9/13: Another great photo can be found in the book: Eastern Poconos: Delaware Water Gap to Bushkill (p. 126). For a recent blog post that includes info on an archeological dig on the Brodhead farm site (aka Brodhead-Heller farm), click here. 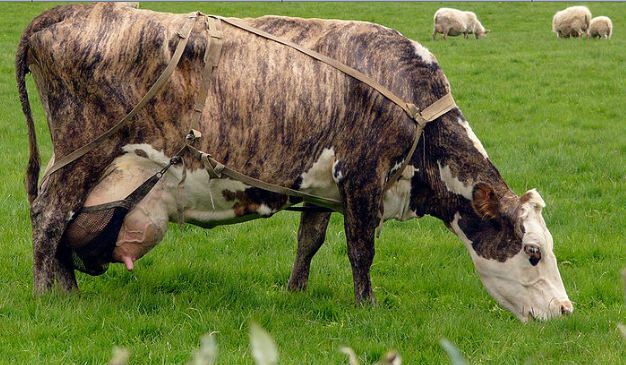 Sadly, the 21st century is not treating the farm kindly. For more on that, click here. I was very saddened to come across a March 2012 photo on the website Flickr showing the sad state of “Wheat Plains,” the old Brodhead homestead located in Pike County, Pennsylvania, 14 miles below Milford. The original home was built by Garret Brodhead (1733-1804) after he finished serving in the Revolutionary War, and it was added to over the years. To view the photo, click here. “Wheat Plains” was once a vibrant and busy farm. In 1791, Hon. 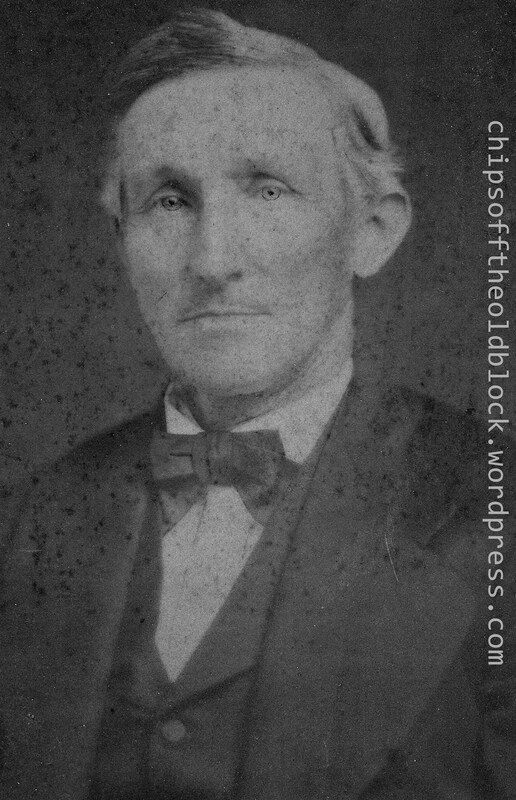 Richard B. Brodhead Sr., one of Garret’s sons, moved to the farm and he resided there until a few years before his death in 1843. Richard’s son Albert Gallatin Brodhead was born on the farm in 1799, and purchased it in 1838 from his father, and Albert lived there until 1865, when he moved to Bethlehem where his only son Charles resided. The property left the Brodhead family in 1871 but came back into Brodhead hands when Robert Packer Brodhead bought the property in 1894. He was the son of Andrew Jackson Brodhead and Ophelia Easton, grandson of Garret Brodhead and Cornelia Dingman, great grandson of Hon. Richard B. Brodhead Sr. and Hannah Drake. 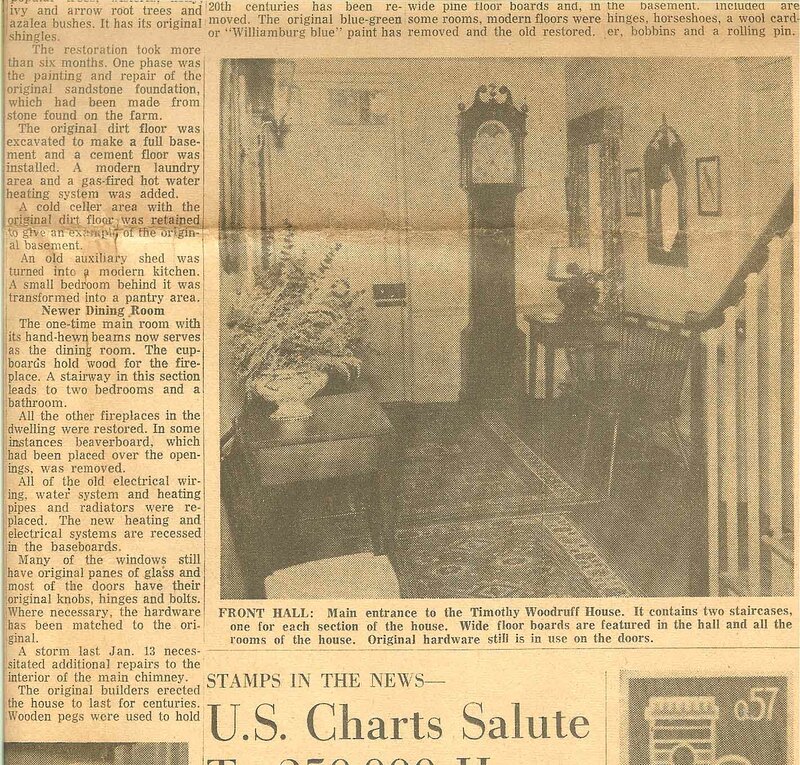 The home remained in Brodhead hands until the 1960s. I recall my parents saying they had met one of the owners at the Brodhead Family Reunion (celebrating 300 years since Captain Daniel Brodhead and his wife Ann Tye set foot on American soil) held in upstate New York in 1964. 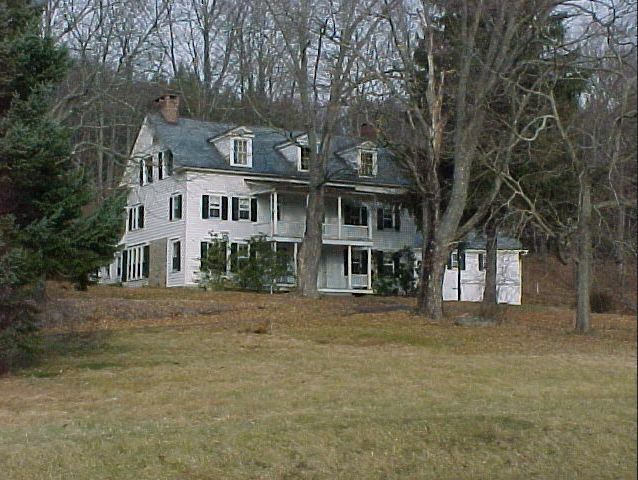 The house and surrounding land are now within the Delaware Water Gap National Recreational Area which was established by President Johnson in 1965. Though apparently renovated in 2000 by the National Park Service, current owners, I can only assume that its now blighted condition is a result of this bad economy. There must not be any funds available to renovate it. Very sad. Were it in private hands, I suspect it would probably be in much better condition. For a post showing the property in happier times, click here. For more information on the house, lands and various structures, click here. Update: This Flickr photo taken in winter 2013 indicates the house was still in disrepair, sadly. 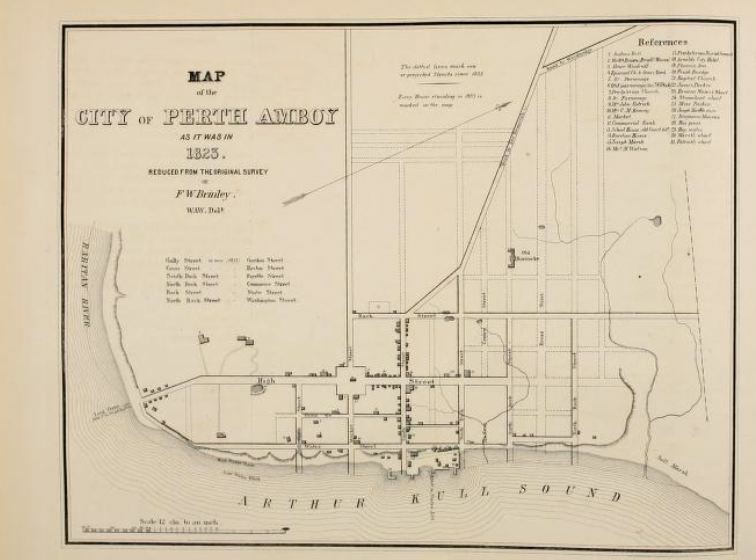 Last year I wrote a couple of posts about the David Wait family of Perth Amboy, NJ. This past weekend, I came across details from David Wait’s will dated October 29, 1810, written 14 days before his death at age 56. As you may recall, David was a carpenter and was involved in the construction of Perth Amboy’s first Presbyterian Church. To read the previous posts about David and his family, click on Oct. 5 & 7, 2011, in the calendar/archives on the left side of this blog. When the will was written, David’s wife Irene was deceased, having passed away six years previously at age 39, and the children ranged in age from 9-23. The eldest, David and John, were bequeathed all the tools and implements of my trade to be equally divided between them according to their value. (John is the son from whom I am descended). Daughter, Margaret, my brindle cow, bed, bedding, 2 chairs, 1 chest, 4 looking glasses (one of which is in trust for each of her sisters, Catherine, Agnes, and Sarah). Said daughter, Margaret, the house and lot in Perth Amboy, which I bought of the late Sophia Terrill, to be occupied by her as a home for herself and all of my younger children, to wit, Joseph, Catherine, Agnes, Sarah, William, and Phillip, until they reach age 21 or are married; and when youngest is 21, executors to dispose of said house and lot, and proceeds to be divided between children, or their heirs, equally. Executors to hold in trust the new house and lots belonging thereunto (in which I now live), to rent or to be sold and profits or proceeds used for support and education of my children. Daughter Margaret certainly had her work cut out for her, but she had probably already been raising her younger siblings for some time given the tragic loss of mother Irene (Bell) Wait some years prior. One name here that stands out in particular is that of witness Andrew Bell. This may have been a brother of Irene’s. Irene’s ancestors have been a mystery to me so far, so maybe I can find something out by researching Andrew. Hopefully this is a promising clue! Most of these are on Find a Grave, as I recall, however, one that stood out for me was “Brodhead (RW), Daniel.” If you go to the site, you’ll see a photo of the monument for Brig. Gen. Daniel Brodhead who was mentioned in previous posts. It’s in the Milford Cemetery in PA, and is dedicated to Daniel and his 1st wife, Elizabeth DePuy (sometimes spelled “DePui”), and 2nd wife, Rebecca Mifflin. A photo of the monument has yet to appear on Find a Grave, so this PA website is worth knowing about. 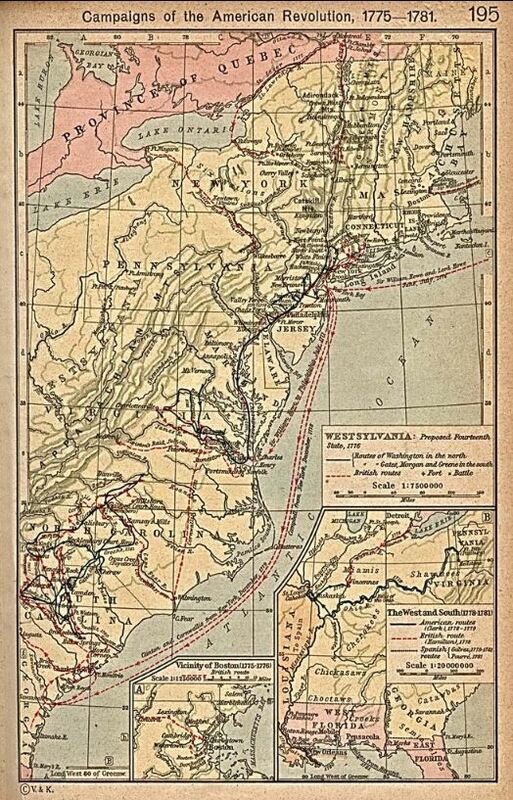 As for Daniel’s heirs, I’m not sure what to make of writings by Luke Wills Brodhead (The Delaware Water Gap: Its Legends and Early History, Philadelphia: Sherman Co. Printers, 1870), who said Daniel “left several daughters, and one son, named Daniel, who died when a young man.” First, off the bat, I will say that I’ll leave son Daniel to another post since there is a bit of a story to him. Second, I have yet to come across any evidence of more daughters. Ann Garton Brodhead (b. 12 February 1758, m. Casper Heiner in 1779) was–as far as I can see–his only daughter. She and her husband had five children: John Heiner (b. 1780), Rebecca Johnson Heiner (recipient of her grandfather Daniel Brodhead’s “miniature picture set in gold”), Margaret Heiner, Catherine H. Heiner (recipient of her grandfather Daniel Brodhead’s “small portrait picture”), and Mary Heiner. When the Revolutionary War was over, Daniel was given several thousand acres of land in western Pennsylvania as reward for his outstanding military service. He also purchased land in Virginia, Kentucky, and Western PA. Walker’s bio says that he concentrated his purchases in the vicinity of Kittanning (to the northeast of Pittsburgh) and on the Allegheny (River), “the scenes of his former exploits, which he never ceased to love.” All of his lands were left to Ann Garton Brodhead Heiner upon his death, and from her all the lands passed to her only son, John Heiner.